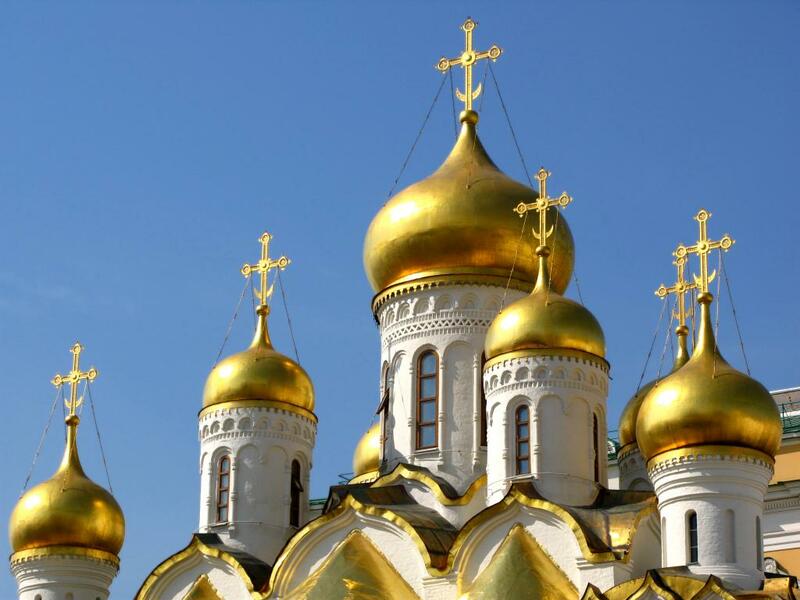 The Russian Orthodox Church of the Moscow Patriarchate has published a draft of the document "Economy in the context of globalization. Orthodox ethical view. " This document demonstrates the key positions of the Russian Church on a number of issues relating to the economy and international relations. Consolidation of mankind on the basis of the moral commandments of God is fully consistent with the Christian mission. This incarnation of globalization provides an opportunity for fraternal mutual assistance, free exchange of creative achievements and knowledge, respectful coexistence of different languages and cultures, the joint protection of nature - would be a reasonable and pious. If the essence of globalization is only to overcome the division between the people, the content of its economic processes had to be overcome inequalities, the prudent use of earthly riches, equitable international cooperation. 2. At the same time a large part of the document critically examines the process of globalization. Church officials say that globalization "remove barriers to the spread of sin and vice." Catch-up model of modernization", having before people’s eyes uncritically perceived external sample, not only desroys the social structure and spiritual life of the "catch-up" societies, but often does not allow to approach the idol in the material sphere, imposing unacceptable and ruinous economic decisions. In contrast to the immutability and universality of moral commandments, the economy cannot have a universal solution for all peoples and all times. A variety of people, God created in the world, reminds us that every nation has its task by the Creator, each valuable in the sight of the Lord, and everyone is able to contribute to the creation of our world. Although outwardly visible collapse of the world colonial system, the richest states of the world in pursuit of the ever-receding horizons of consumption continue to enrich themselves at the expense of everyone else. It is impossible to recognize to be just international division of labor in which some countries are suppliers of absolute values, especially human labor or raw materials irreversible, while others - suppliers of conditional values in the form of financial resources. Money payed for non-renewable natural resources are often taken in the literal sense "from the air", due to the work of the printing press - thanks to the monopoly position of issuers of world currency. As a result, the abyss in the socio-economic status between the nations and entire continents is becoming increasingly profound. This one-sided globalization, giving undue advantages to some of its participants at the expense of the others, entails a partial and, in some cases, virtually completes loss of sovereignty. If mankind needed freely traded currencies throughout the world to serve as a universal yardstick for economic calculations, the production of such units should be under fair international control, where all states of the world will proportionally participate. Possible benefits of such emissions could be channeled to the development of the poverty-stricken regions of the planet. 6. However, the strengthening of international institutions, according to representatives of the Russian Orthodox Church, should not lead to the strengthening of the transnational elite. The unconditional support of state sovereignty against the transnational elite is a distinctive feature of the position of the Orthodox Church. This differs the Orthodox from Catholics, who are members of the globalist transnational centralized structure, in contrast to the Orthodox Churches, which are united in faith, but not administratively. National governments are increasingly losing their independence and becoming less dependent on the will of their own people, and more and more - the will of the transnational elite. Themselves, these elites are not constituted in the legal space, and is therefore not accountable to neither the people nor the national governments, becoming a shadow regulator of social and economic processes. Greed shadow rulers of the global economy leads to the fact that a thin layer of "elite" is getting richer and at the same time more and more relieved of the responsibility for the welfare of those whose labor created the wealth. Moral society should not increase the gap between rich and poor. Strong does not have the moral right to use their benefits at the expense of the weak, but on the contrary - are obliged to take care of those who are dispossessed. People who are employed should receive decent remuneration. Whole countries and nations are plunged into debt, and generations that are not yet born are doomed to pay the bills of their ancestors. Business expectations in lending, often ghostly becomes more profitable than the production of tangible goods. In this regard, it must be remembered about the moral ambiguity of the situation, when money is "make" new money without the application of human labor. Declaring credit sphere to be the main engine of the economy, its predominance over the real economic sector comes into conflict with the moral principles, reveled by God condemning usury. Attempts by indigenous people of the rich countries to stop the migration flow are futile, because come in conflict with greed of their own elites who are interested in the low-wage workforce. But even more inexorable factor driving migration was the spread of hedonic quasi -religion capturing not only elite, but also the broad masses of people in countries with high living standards. Renunciation of procreation for the most careless, smug and personal existence becomes signs of the times. The popularization of the ideology of child-free, the cult of childless and without family life for themselves lead to a reduction in the population in the most seemingly prosperous societies. We must not forget that the commandment to all the descendants of Adam and Eve, said: "Fill the earth and subdue it. "… Anyone who does not want to continue his race will inevitably have to give way to the ground for those who prefer having children over material well-being. Globalization has accelerated the consumer race disproportionate to earth resources granted to mankind. Volumes of consumption of goods in those countries, which are recognized worldwide for the samples and which are equal to billions of people, have long gone beyond the resource capabilities of these "model" countries. There is no doubt that, if the whole of humanity will absorb the natural wealth of the intensity of the countries that are leaders in terms of the consumption, there will be an environmental disaster on the planet. This document is very important because it shows that the Russian Orthodox Church not only occupies a critical position in relation to the liberal globalization, but also offers a Christian alternative to globalization processes. While Catholics and most Protestant denominations have passionate humanist ideas, and in the best case, criticize globalization from the left or left-liberal positions, the Russian Orthodox Church advocate sovereignty and national identity. The most important aspect of the Orthodox critique of globalization is the idea of multipolarity and the destructiveness of modern Western civilization’s path.